The Missouri City candidates forum went off without a hitch Wednesday night, at least for the first few minutes of meet and greet. The event was sponsored by a coalition of concerned citizens of Fort Bend and a students group. Once the introductions had concluded the gloves were off. One candidate was conspicuously absent from the event. 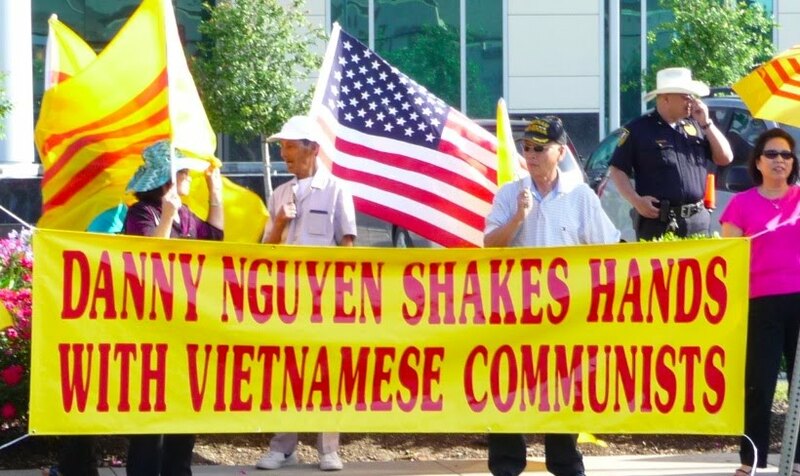 A fairly large group of protestors showed up from a coalition of Asian-Americans protesting Danny Nguyen's candidacy for numerous reasons. 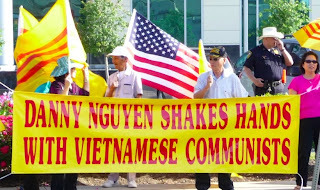 Two of the incumbents in attendance, Allen Owen and Jerry Wyatt, who have openly endorsed and supported Mr. Nguyen's campaign were criticized by members of the group and some in the general audience for their continued pushing of a "slate of candidates" that include developer Nguyen. We will update this release at intervals.